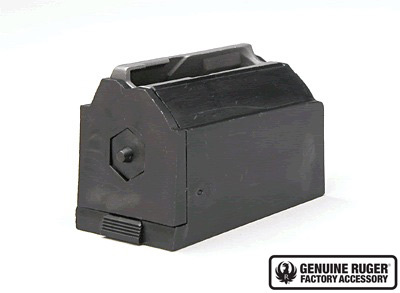 6-Round, 22 Hornet Caliber Magazine with Steel Feed - Black Plastic *Due to changes in the law effective October 1, 2013 Ruger is not able to sell magazines to CONNECTICUT residents. Ruger cannot bill to or ship this magazine to Brooklyn, Buffalo, New York City, or Rochester, New York. DO NOT ORDER THIS PRODUCT if you live in these cities.